For 29 years, Chamber Music in the Public Schools has brought the joys of ensemble playing to the public school setting. CHAMPS partners with a school orchestra programs to provide chamber music coaching on a weekly basis. Dedicated professional musicians are brought in to coach trios, quartets and quintets made up of members of the middle and high school orchestras. Coaches share their love of chamber music and impart the musical knowledge needed for performance and enjoyment. Participants are chosen through an interview/audition process, and coaching sessions take place during orchestra class time. 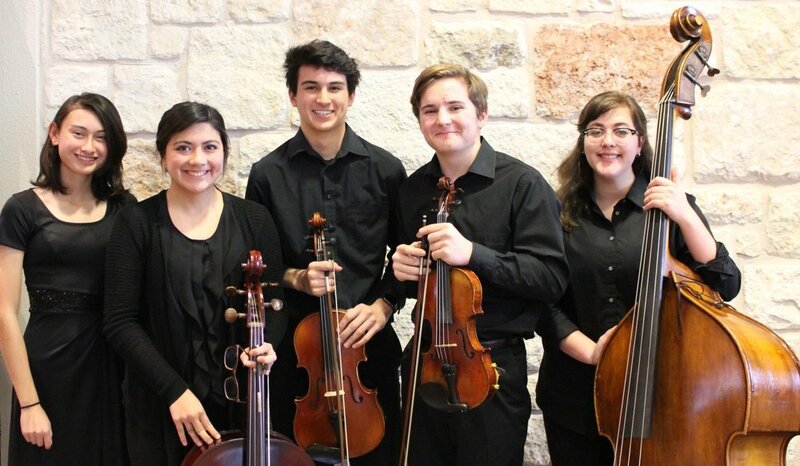 The CHAMPS program has grown to serve 16 schools in Austin, Round Rock, Westlake, Lake Travis and Georgetown with around 100 students enrolled in the program to receive weekly chamber music instruction. CHAMPS students receive many performance opportunities throughout the year. They are entered into city-wide contests, perform in two recitals a year as well as masterclasses, outreach concerts at nursing homes, churches, elementary schools and special award ceremonies and are invited to participate in other special opportunities. CHAMPS students receive the unique chance to be selected to participate in Master Classes with outstanding professional musicians, including Peter Bay, the Cordova Quartet, Elizabeth Pitcarin, the Skyros Quartet, among others. The program provides students with the opportunity to develop their instrumental skills as well as social and interpersonal skills including cultivating leadership qualities and lasting friendships.